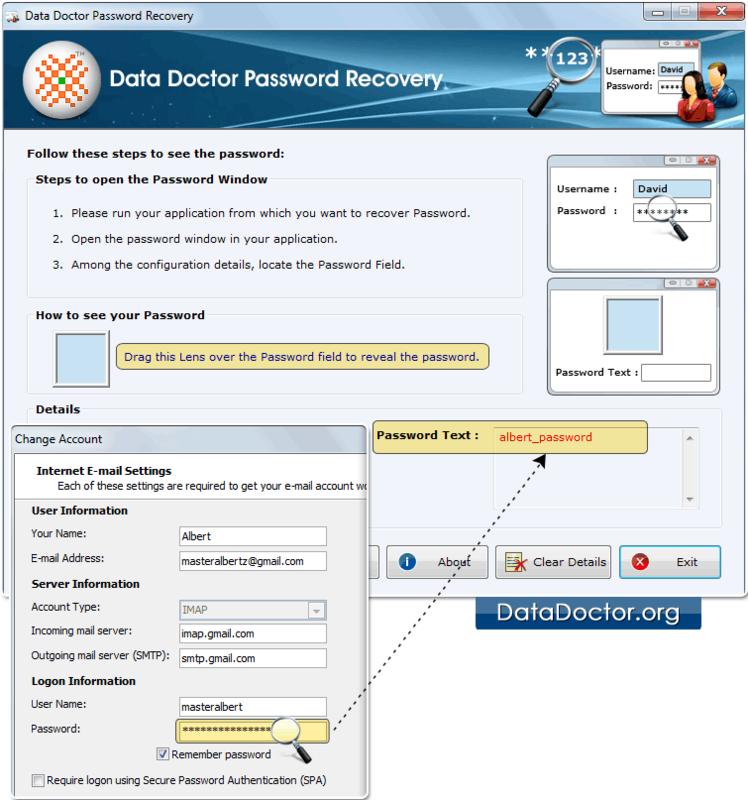 Password Recovery Software restores lost or forgotten password from different applications regardless of their length and complexity. Software also recover multilingual password, complex password even with special characters stored behind asterisk (****). Software is compatible with Windows 10, Windows 8, Windows 7, Windows Vista, Windows XP and other latest operating systems. Software Screenshots : How it works ? 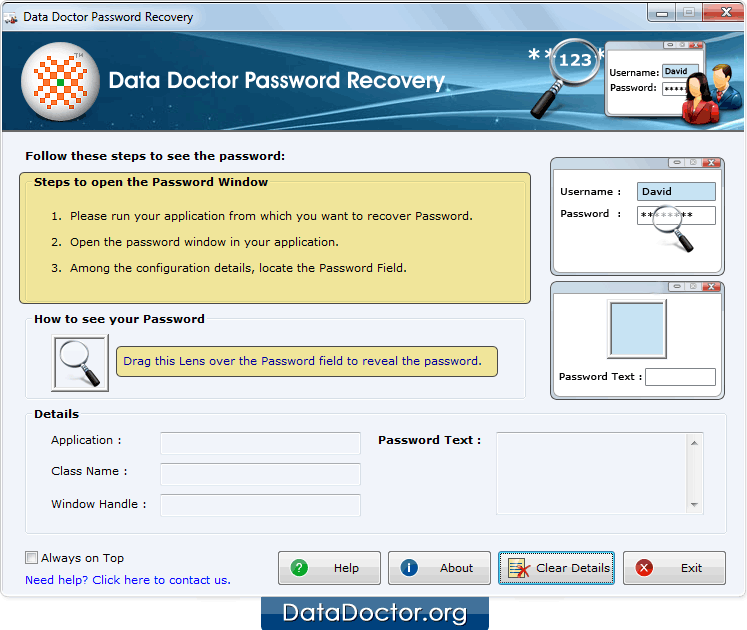 Install and run password recovery software. 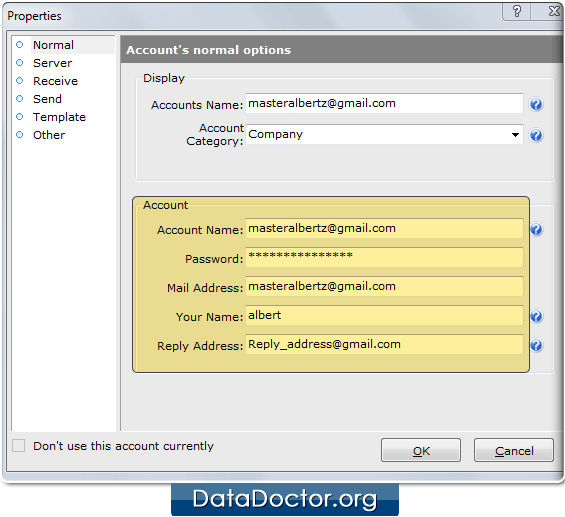 Open the password window in your application from where you want to recover your password. Among configuration details, locate the password field by dragging lens over it.